Divided into four regional sections (East, Great Lakes, South- Central, and West), Lupica’s comprehensive guide takes readers on a journey across the country, providing at each stop an in-depth look at the stadiums, the players, and the notable games that shaped the sport. Fans are treated to a walk-through that points out each ballpark’s unique features. Readers can explore the Bob Murphy Radio Booth at Citi Field, home of the New York Mets, or gaze out over the Pacific Ocean at Lookout Landing while visiting Safeco Field, home of the Seattle Mariners. Have you ever wondered what it would feel like to stand on the mound at Wrigley Field or what your favorite baseball players were thinking in the midst of a game that went down in history? 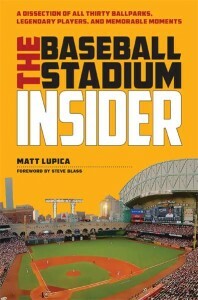 The Baseball Stadium Insider contains more than 300 quotations from players, broadcasters, and managers, including David Freese’s thoughts when he hit a game-winning home run in the bottom of the 11th inning in Game 6 of the World Series that allowed the St. Louis Cardinals to go on and become world champions and Justin Verlander’s comments on pitching a no-hitter for the Detroit Tigers in 2007. Ballparks have stood witness to Babe Ruth’s home runs, Jackie Robinson’s debut, and Lou Gehrig’s final bow. History echoes through the seats and waits to be made every time a pitcher steps up to the mound. 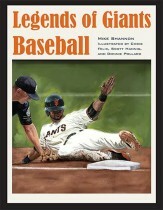 For the die-hard fan or the baseball novice, The Baseball Stadium Insider captures that history one stadium at a time. AuthorMatt Lupica is a lifelong sports and Pittsburgh Pirates fan who started his sports commentary career early: at the age of eight he was producing homemade sports highlights and talk shows. Now Lupica works as a freelance journalist based in Macedonia, Ohio.